Carry-on baggage checkpoint screening solution approved by U.S. Transportation Security Administration (TSA), European Civil Aviation Conference (ECAC), France Civil Aviation Authority (STAC) and U.K. Department for Transport (DfT). 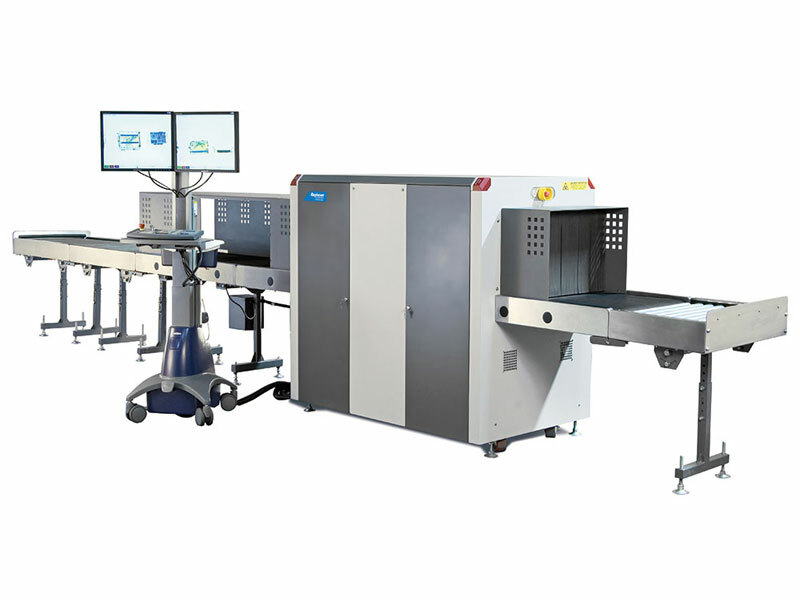 The 620DV is an advanced checkpoint screening solution, designed for aviation and high security applications. It uses innovative dual view technology to generate a horizontal and vertical view of the object under inspection. 620DV has been approved and included on the qualified list applicable to the U.S. TSA Advanced Technology (AT) checkpoint program as well as the qualified list applicable to E.U. ECAC Liquid Explosive Detection System (LEDS) Common Evaluation Process (CEP) for security equipment. 620DV provides unsurpassed image quality, regulatory approved detection alert of solid explosive software (Target) and Liquid Explosive Identification Software (aLEXis) with the largest global approvals and certifications. 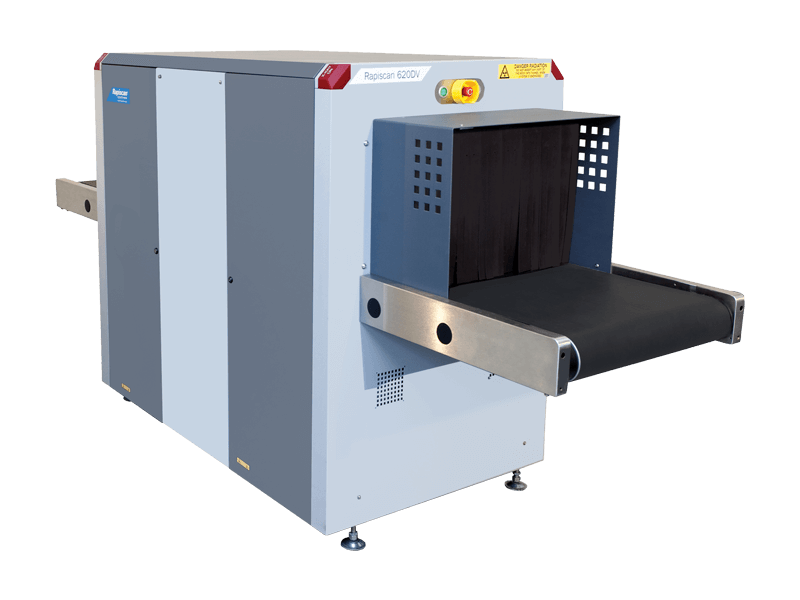 Target and NARCScan are designed to assist operators in the detection of a range of explosives and narcotics respectively in real time during the scanning process by marking a potential threat on the X-ray image. Rapiscan® Systems detection algorithms are based on regulatory material analysis techniques. The 620DV meets the most rigorous detection and image quality requirements as set by the U.K. Department of Transport (DfT), European Union, and French civil aviation authority (STAC). 620DV performance is in full compliance with the European Union regulations (EC) No. 300/2008, (EU) No. 2015/1998 and Commissions Decision C (2015)8005 for aviation security. With over 13 image processing tools and detection alert algorithm functions, the feature rich software allows the operator to more easily and accurately search for contraband. As mandated by US and EU regulators, the 620DV utilizes a dual view technology which produces two simultaneous images (vertical and horizontal views) of the scanned object. It provides a more complete image, thereby reducing the need for repositioning and rescanning and enabling rapid, accurate and comprehensive threat detection.